Acuvue Vita Astigmatism - 6 lenses - Weblens - Your Contactlenses Online ! More than 2/3 of the monthly lens wearers experience discomfort as the month progresses. 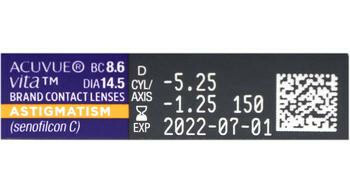 A frequently heard complaint from monthly lens wearers is that they get more dry and irritated eyes from the 3rd week onwards. As a result, they stop wearing lenses or use, for example, eye drops to compensate. 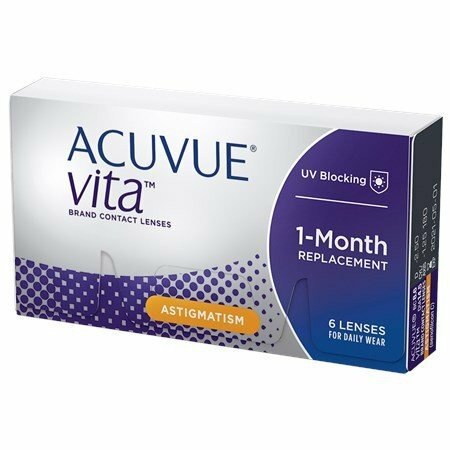 With Acuvue Vita contact lenses this is no longer necessary. 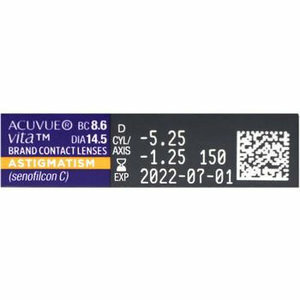 With the new Acuvue Vita for Astigmatism lens, Johnson & Johnson wants to show that monthly lenses can be worn comfortably throughout the month. The HydroMax technology ensures that the lens stays well hydrated and comfortable for the full four weeks. Dry and tired eyes are therefore a thing of the past.